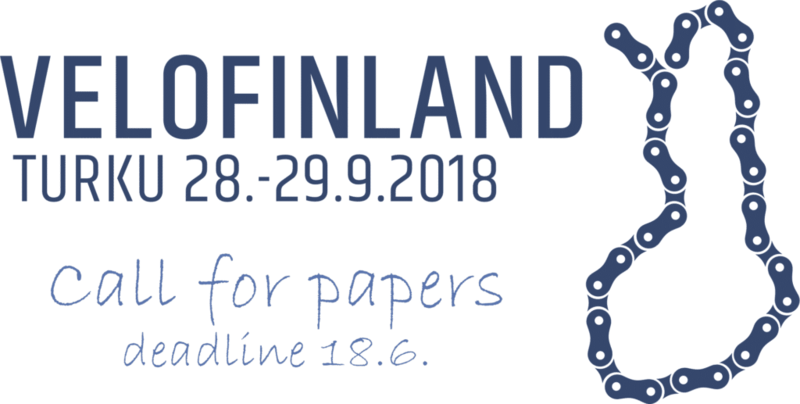 VeloFinland 2018 is the place to be if you want to learn about new research, trends and ideas regarding bicycle traffic. The seminar is aimed for professional city planners, students, decision makers and anyone interested in bicycle advocacy. We look forwards to receiving ideas to presentations about bicycle traffic and promoting it. The subject can be approached from the point of view of, for example, economy, national health, quality of life, education, culture, civil society or decision making. As long as your presentation has a clear connection to bicycle traffic or city planning, we are open to hear your suggestions! Presentations can be held in Finnish or English. Lectures are held in an auditorium for big audience. We will combine several lectures to a session that last approximately 1½ hours. In a workshop participants solve a problem, develop a given area or brainstorm together. We would like to see especially workshops that are well suited for student. A work shop can be arranged in parts and can include different elements such as field trips. Results of a work shop can be presented to all participants of the seminar. A Pecha Kucha presentation consists of 20 slides that last 20 seconds each. This means a presentation of 6 minutes and 40 seconds. Pecha Kucha presentations have a high tempo and it is recommended to concentrate on just one thing. Pecha Kucha presentations are combined to a session with several presentations. Chairperson presents the topic after which there is a 30 minutes’ discussion among participants. Round Table Discussions are an excellent means to go in depth and utilize the expertise of the participants. After 30 minutes’ participants move to the next table with a new topic. You tube -videos of max 5 minutes can be a part of the seminar. A video gives you a chance to present your thought or ideas even if you could not participate in person. Videos are shown between lectures and other program, and will be shared in our social media channels. A field trip is a good means to present different infrastructure solutions or other points of interest on site. Trips are done by bike or on foot. Same topic can be presented on several field trips, which gives more people possibility to participate.